Hey Jeanne! Can you tell us a bit about yourself? What’s your background? I’m a journalist, a believe in full-on transparency. Like all journos, eager to afflict the comfortable, and comfort the afflicted. I’m a native Iowan, living just outside of New York City. Single mom of amazing twin girls, now 22 and just graduated from college. How long were you a reporter at the New York Times? What led you to a life in journalism? What was/is your favorite thing to cover? I was born into a newspaper family: My first job, at 13, was as a cub reporter at The Grinnell (Iowa) Herald-Register, a twice-weekly community paper. My dad (who married the boss’s daughter!) was the editor. I grew up there, and worked my way through Grinnell College at the paper. After earning a BA in Russian, I tried to get out of journalism by going to graduate school in Slavic linguistics, but it didn’t stick and I went back to journalism. After stints at The Associated Press and The Des Moines Register, and almost two years living in what was then the Soviet Union, I was hired as an editor at The New York Times. The Times is a great place to work. I was there for almost 25 years – first, for almost 10 years, as an editor on the Foreign Desk, specializing in Soviet and East European affairs, during the fall of Communism. It was an amazing run of news: The Berlin Wall went down, freedom flowered and then was crushed in Tiananmen Square. The wars in the Middle East, the end of apartheid in South Africa – I got to work with the smartest people in the world on foreign affairs at a time of epochal change. After that, I was a reporter covering commercial real estate, the deputy founding editor of the Circuits Technology section, the “work-life manager” implementing a policy for flexible and nontraditional work schedules, an editor on the Metro section (during September 11 and its aftermath) and an editor on the lifestyle sections. I volunteered for a buyout in 2009, and starting in late 2010 I won a series of grants and some angel investment to build ClearHealthCosts, a journalism startup bringing transparency to the health care marketplace by telling people what stuff costs. I love big, complicated topics. The (then) Soviet Union, technology, nontraditional work arrangements and the crazy opaque health care marketplace. Why is it important to bring transparency to the American healthcare industry and what was your journey to creating ClearHealthCosts? Was there anything in your life or anything in particular that inspired you to want to start CHC? People should know what stuff costs. All prices should be clearly available in advance: the price charged, and how much you will pay, and how much others are paying. That’s what we do at ClearHealthCosts: we find out and post health prices publicly. We use shoe-leather journalism and data diving to find stuff out about pricing and tell people. We also crowdsource health prices with big public media partners like KQED public radio in San Francisco and WLRN public radio in Miami. (Here’s a roundup of our partnerships). A simple MRI can cost from $300 to $6,221 in the same metro area, depending on provider. But it’s hard to find that information. Your IUD could cost either $0 or $55 or $2,600. Yes, it’s supposed to be covered by insurance, but …. Well, it’s complicated. Those birth-control pills could cost from $9 to $63. But how can you know? 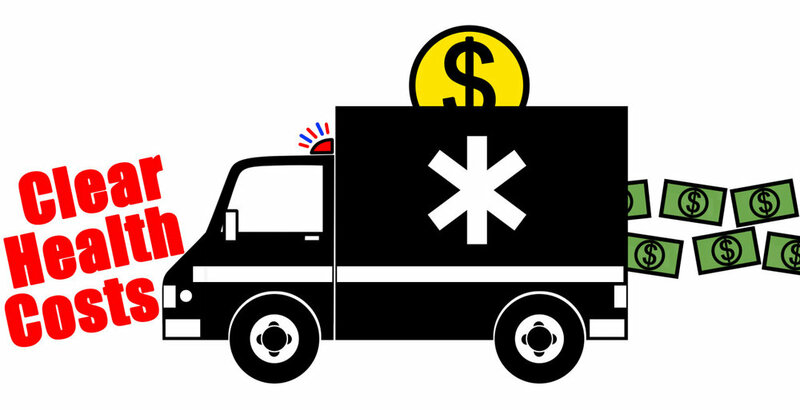 So, our solution: We’re a mashup of Waze and Kayak for health care prices. Where you’re able to make a choice – in common, “shoppable” procedures – we give you clear, actionable information, displayed in context. You might need to know how much an abortion costs, or the price of a colonoscopy. You might want to know that you can sometimes save money by paying cash – instead of using your insurance card. You might also want to know that there are a number of price transparency tools out there on the interwebs that are not very transparent. There’s no easy way to know prices, or to make smart decisions with your money and your health. We’re working to change that. You should be able to easily find out in advance. It’s a national embarrassment: Our health care system takes advantage of people who are ill, or who don’t have gold-plated insurance, or who don’t have the time to fight through the murk and the bureaucracy and the active attempts to keep you in the dark about prices. I got interested in this as a journalist because it’s a problem hiding in plain sight: No one can understand their health care bills and insurance company communications. If it’s this hard to understand, you can bet someone’s making money off the information asymmetry. As a 33-year-old woman with very bare bones health insurance, I have an extremely high deductible ($6k+) and therefore pay my monthly premium (around $260/mo) in addition to out-of-pocket for any doctor’s visits or procedures. Sometimes I wonder why I have health insurance at all. Why is our system so broken and when did that start? Once upon a time, our insurance system made more sense. It was born of the knowledge that high medical bills can beggar a person, and the need to protect against that. Our insurance system expanded after World War II, as a result of concern for workers’ welfare and the need to fill jobs, and the system became largely employer-driven for many of us. This worked pretty well for a while, but then all the nonprofit insurers and other nonprofit market players began to turn into for-profits. This is in some sense a reflection of who we are as a nation – we love us our free enterprise! – but it doesn’t work that well in health care. If a company is a sleepy, nonprofit hospital or mutual insurance company, it’s more likely to be worried about the welfare of its patients and its insured people. If it’s a for-profit hospital, insurer, or drug company, answering to shareholders on Wall Street, it’s worried about the stock price. So, obv: if less money is spent on patients, more goes to boosting stock prices, to advertising and executive compensation, to dividends and other things that don’t directly affect the mission of patient care – promoting wellness and treating ill people. Here’s a particularly egregious example about Epipens, though the examples are many. To be clear, I’m not an opponent of for-profit, free enterprise systems. I used to live in the Soviet Union, and that was an unspeakable mess. What I think about for-profit, free enterprise health care is that all the prices need to be public, all the time, so I can know what my choices are. Also: The health care system – like many other systems – is largely built and operated by men, and used primarily by women. What country has the best model of national health care? Good question: People say that Singapore and Australia have a good blend of private and public, but I have no personal experience of either. Some of the European social democracies (Denmark, the Netherlands, Sweden) also seem to have a happy solution. Our system? It’s an international laughingstock: We spend more money and do worse on major measurements of success than any other nation – check out this study and charts. Gah. What do you hope to achieve with CHC? People should know what stuff costs. All prices should be public, all the time: The charged price, your responsibility either as an insured person or a cash patient, what the insurer pays, what the government would pay for the same service. Our current system is built on half-truths and secrecy. That has to stop. What women inspire you? Who do you currently admire? Ah! So many! Here are a few. Rachel Sklar and Glynnis MacNicol and the #badass Ladies of The Li.st. Aminatou Sow and Erie Meyer and the #badass women of the TechLady Mafia.